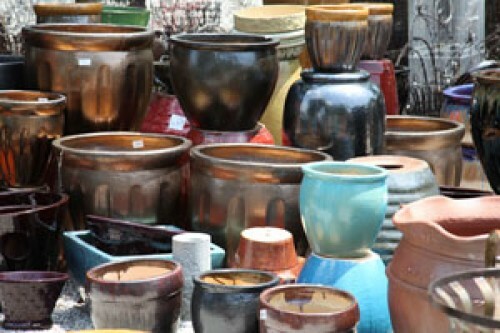 Green’s has a large selection of pottery. We carry everything from 1 quart to 20 gallons. 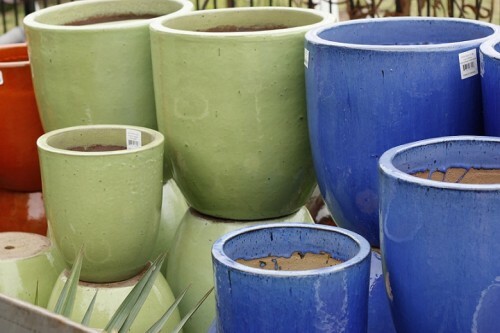 Whether your looking for a plain terra cotta pot, a colorful herb bowl, or anything in between you can find it at Green’s. We now carry a line of 100% bio degradable pottery Made of rice husk and bamboo scraps. They are all natural and you can expect years of use. 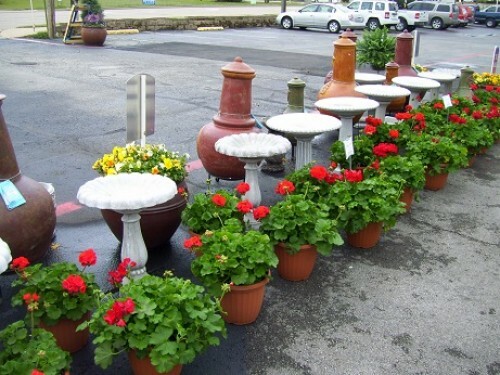 You can also find a large variety of concrete here at Green’s. 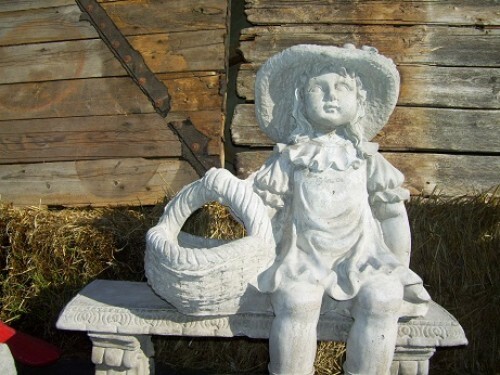 From birdbaths to statues, we have animals, snakes, saints, and benches. Concrete contrasts a garden perfectly, and can provide a good place to sit and watch the birds and butterflies flit and flutter through the flowers. You can find the piece you need here at Green’s. Green’s carries iron yard art. 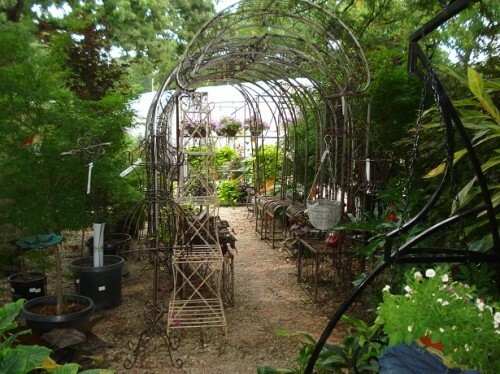 We have animals, arbors, bottle trees, baker racks, baskets, benches, chairs, plant stands, swings, signs, and trellises. 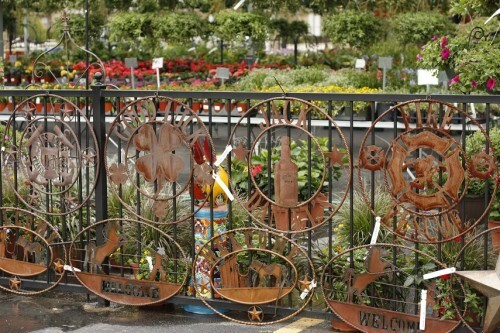 Whether you’re looking for function, or form we have the iron art to accentuate your yard, and make your patio the place to be. 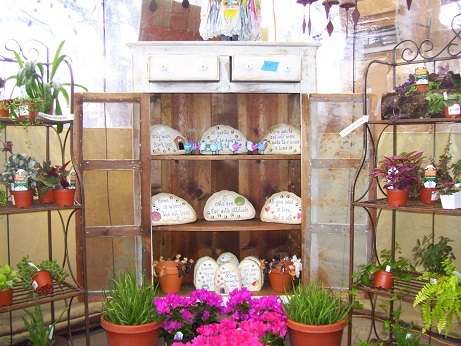 Green’s has much more in the way of garden decor. 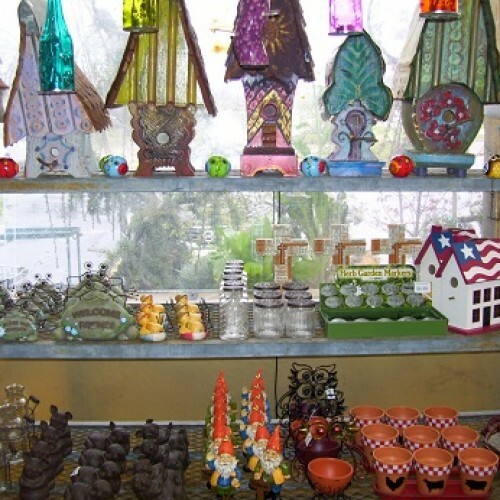 We carry all manner of small nick knacks, and baubles, from herb markers to rain gauges. We have gazing balls, pinwheels, wind chimes, and door mats. We are always finding something new, and rotating seasonal decor so you’ll have to check in often to keep up with everything. Error: Error validating access token: Session has expired on Tuesday, 05-Feb-19 10:17:28 PST. The current time is Friday, 26-Apr-19 03:51:29 PDT.